I love these little tubs of colourful crease free goodness! I grabbed a few of them when they first came out and then I completely forgot about them and when I found them again I realised that I had to get some more. I didn’t realise quite how many colours there were to choose from now but I’m really happy that I got these 3. They were also on 3 for 2 in super drug so one of these beauties was free! 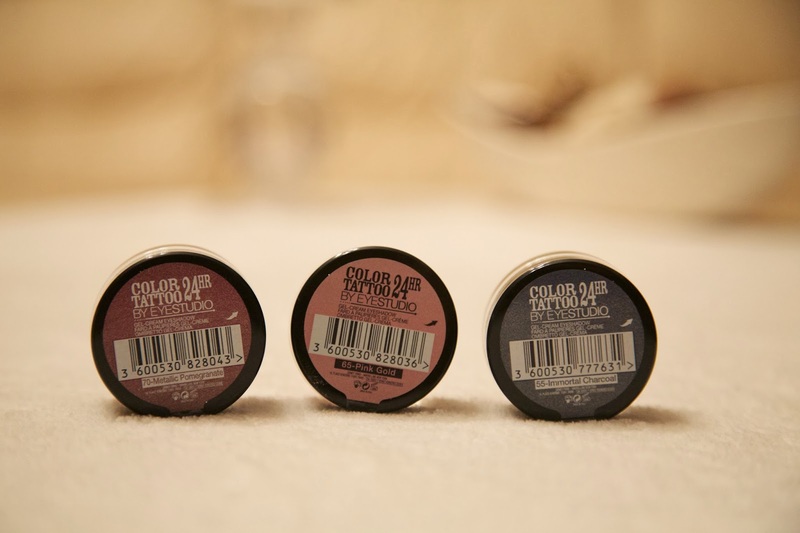 I got the colours metallic pomegranate, pink gold and immortal charcoal. 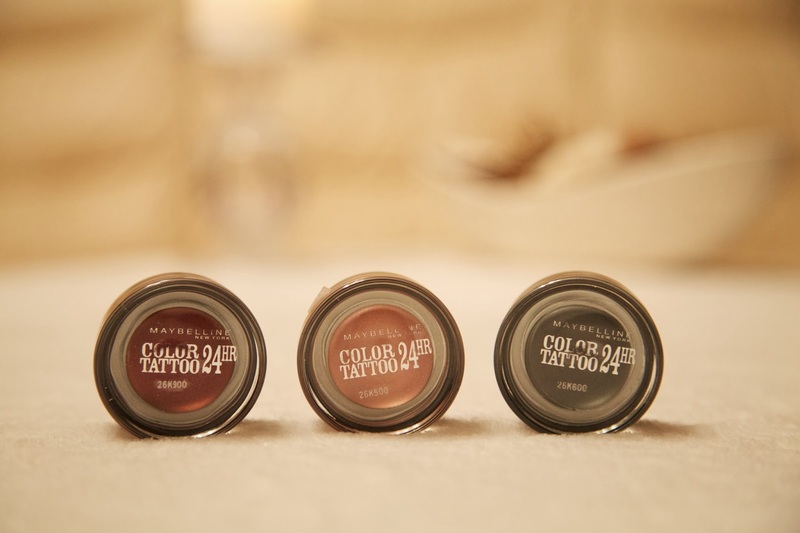 The grey toned one is perfect for a case for a dark smokey eye. DUPE ALERT. The Pink Gold one I think is a really good dupe for M.A.C lets skate. It’s a touch pinker but if you apply it lightly, it’s very similar. I’ve done a review of these before but to sum it up, they blend easily and they do not crease throughout the day. I like to use them as a eyeshadow base and they kind of work as a primer too! One downside though, if you ever wear false nails, it can be really had to get your finger in and not get it under your nail. What is your favourite colour tattoo? I have also noticed this! I do love a good dupe!